Location: Lying in a bed of peat facing south on the slope of the hill, 70 m just west of north of Meer stone 41. 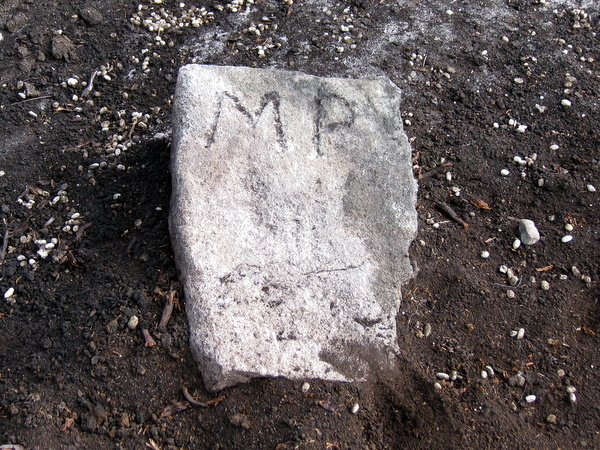 This is a small stone, about 55 cm long and 300 cm wide lying on its back in a small area of peat. According to the Brailsford 1781 survey it is lying within a George Fletcher lease, but it may be a displaced stone marking the meer to the east held in 1781 by Pickles & Co.